All of our products are designed and manufactured in our Canadian manufacturing plant in Rosenfeld, Manitoba. We use only the highest quality materials and we have extensively tested all products prior to market. We are also an authorized dealer for ElectroDynamics, which can be ordered directly through our online store. Model Aviation Products is pleased to announce that we have acquired Gizmo Geezer products. We will continue to provide the same high-quality products and service you received from Gizmo Geezer. Thank you for your business and interest in our products! Eliminates performance-robbing rubber motor and propeller management problems associated with free-wheeling propeller style of model aircraft! 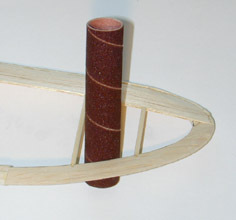 This product has all the features of the original Precision Freewheeler, but with a front end option that has been redesigned for scale model builders. Assembled and ready to install! 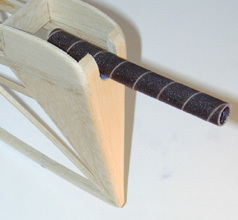 Simple, accurate thrust adjustments - as installed in the Precision Freewheeler units. Keep extra parts on hand in case you lose them! 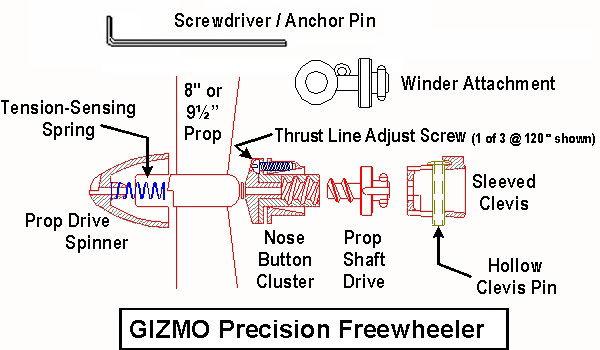 The Original Gizmo Precision Freewheelers are packaged as a ready-to-intall unit, including only those items necessary to install the Gizmo in your model and go flying! 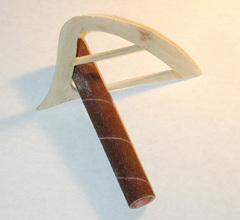 Install a Czech prop, or your own carved or formed balsa prop. 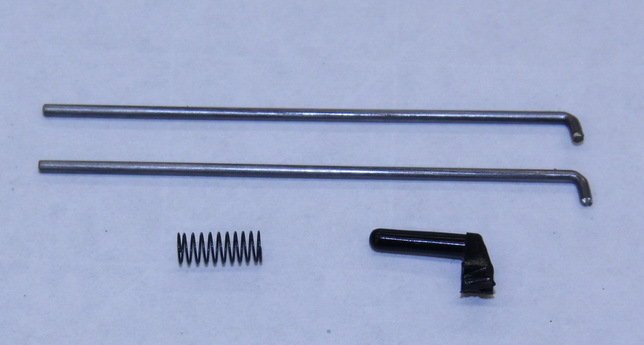 Detailed instructions for PFW re-assembly are included in the pack. A great addition to your field box!